As the year draws to an end for most schools, planning for 2019 is beginning already. I thought it would be good to highlight some of the ‘buzz words’, concepts or ideas that are having an impact in mathematics classrooms. When planning for mathematics at this time of the year, spend the time planning your practices not preparing your program. Good practices are what make good teachers. It’s not about activities, it’s about you! When planning for primary mathematics there are a number of pedagogical practices that you should have in your teacher toolbox, I’ve listed 6, but there are many more! In mathematics noticing leads to learning and understanding of important aspect of mathematical concepts. 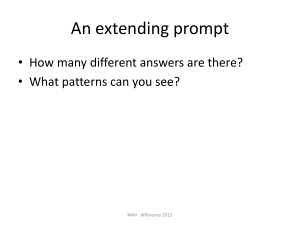 Through noticing students are able to sort, classify, justify, reason, connect ideas, follow and reproduce patterns, predict and analyse mathematical information that is represented in a variety of ways. Noticing is also a way for students to provide feedback to others about the effective strategies and various methods they use to solve problems. When students add comments to other students’ work, starting a sentence with “I noticed that you…” allows them to provide specific feedback based on the processes not the person. To be able to notice, you need mathematical content knowledge to know what you are looking for. Mark Chubb has a great blogpost that discusses Noticing and Wonder as these practices generally go hand in hand. I will specifically discuss wondering below but if you haven’t explored Noticing and Wondering yet, you can find our more by reading Annie Fetter, NCTM’s Math Forum , Kyle Pearce or exploring chapter 7 of Tracy Zager’s book, Becoming the math teacher you wish you’d had. Wondering is part of Noticing and Wondering, but they still have separate aspects to them and can serve different purposes. Noticing is the stage of the discussion that is often about observing and linking the visual representation to prior knowledge, whereas the wondering stage could be seen as the predicting and questioning stage- moving from the known to the unknown. This is an opportunity for students to pose problems to solve that often have the potential to lead to generalisations. When using wondering as a pedagogy in mathematics it is important to undertake the noticing and wondering for yourself prior to the lesson. This is part of the lesson preparation where you can start to see the conceptual links and predict where students may take the lesson. Be aware though, this doesn’t mean you negate the wonderings the students have. It is important to see their ‘wonderings’ through even if they may take you on a teaching tangent as they may uncover misconceptions or misunderstandings. Embracing students’ wonderings also allows them to make connections across concepts. The purpose of pre-wondering for yourself, is to build you own practice of wondering and to build your own content knowledge. 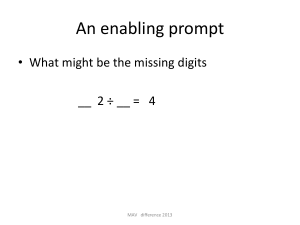 When planning for mathematics your first thoughts should be about what connections can I make? and what connections should I make? 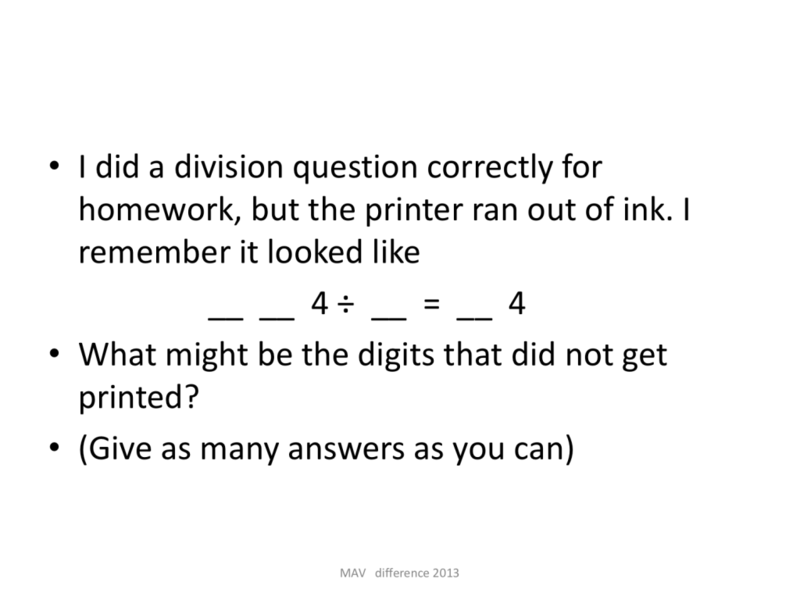 Many primary teachers are starting to use the reading comprehension connections ideas in mathematics, as discussed here. 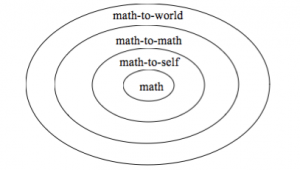 For young students, where possible, it is good to make connections to the students’ prior experiences (math to world). Making connections between concepts (math to math) is also essential when building the foundational blocks of mathematics for example, the links between area and multiplication (for more examples see my earlier blog). Then finding ways to hook students in to mathematics by highlighting its use and personal application (math to self), exploring ways that mathematics can be utilised in a range of situations. Justifying is synonymous with reasoning which is one of the NSW mathematics K-6 syllabus working mathematically processes that sit at the heart of the syllabus. Students’ abilities to justify can be developed and enhanced through the way we question in the classroom and the kinds of tasks we ask students to complete. To be able to justify, there needs to be a statement to defend or rebuff. Providing students with questions that rely on a True/False response provide opportunities for justification of thinking. As do providing non-examples or incorrect solutions where students need to find the errors or justify which answer is correct and why. 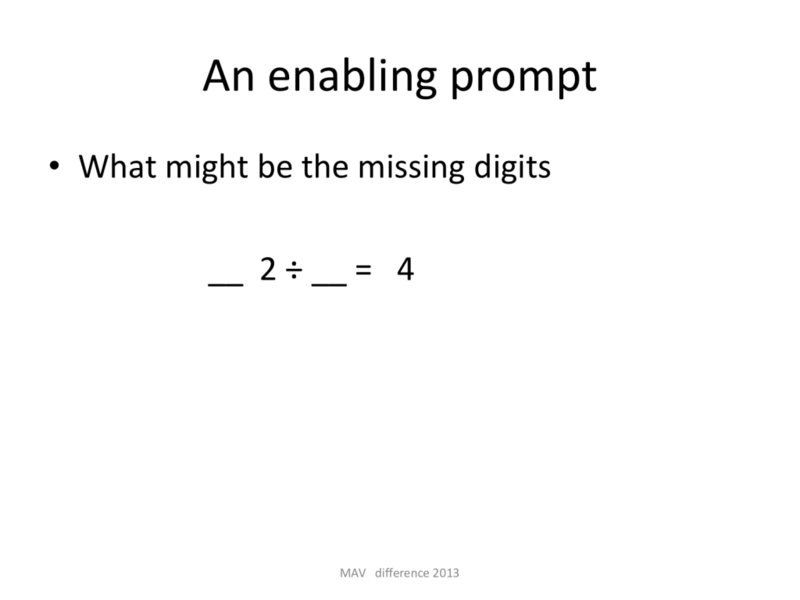 The use of enabling and extending prompts in the mathematics classroom open tasks up by creating a low floor (access point for all students) and high ceiling (further application point) for students. Peter Sullivan’s book Challenging mathematics tasks includes enabling and extending prompts to engage all learners with the tasks. 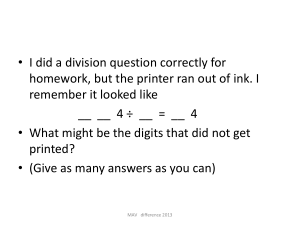 The reSolve: maths by inquiry project tasks also include these prompts. All of these practices revolve around the concept of communicating. They are research and/or classroom-evidence based. They are not about individual activities mapped to content but about teaching intent, teaching purpose, and teaching practice. Focus your planning on how you teach, then you will be able to read the syllabus, identify what learning your students need, and teach. Durkin, K., & Shafto, P. (2016). Epistemic trust and education: effects of informant reliability on student learning of decimal concepts. Child development, 87(1), 154-164. Hyde, A. A. (2006). 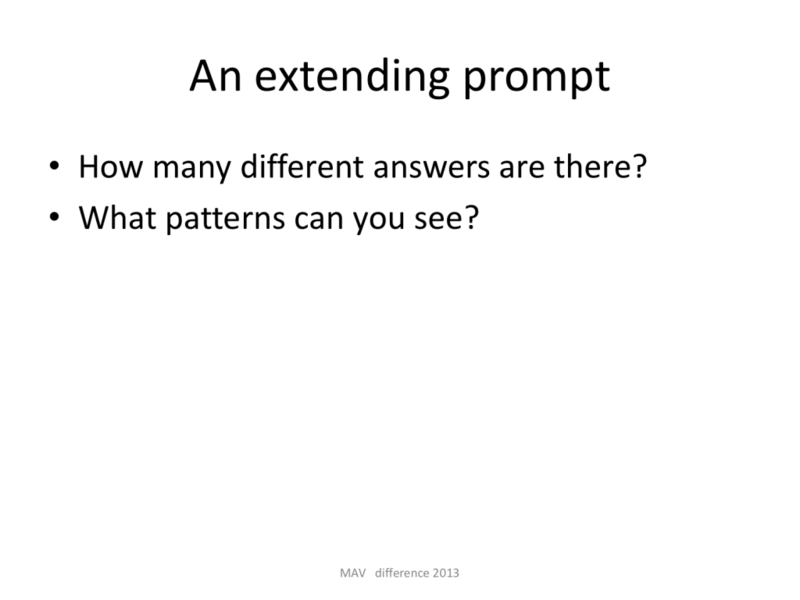 Comprehending math: Adapting reading strategies to teach mathematics, K-6. Portsmouth, NH: Heinemann. PreviousPrevious post:Finding the right combinationNextNext post:How are we going to manage talking and listening?